The generous contributions we receive help fund the many programs that we offer to the community. Learn more about our programs below. Click one of our programs below to learn more about what we are doing to help animals in our community. Our adoption program is designed to find responsible families for these pets where they can live long, healthy, and happy lives. Let us help you find your next forever friend. Our shelter hospital medically treats the thousands of homeless, abused and neglected animals that come through our doors every year. Under the guidance of Dr. Jerry Latham, vet students experience the life changing service of shelter medicine. The GBHS accepts any owned animal that is in need of a new home through our pet surrendering program. Regardless of the reason, you and your pet will be treated with compassion and respect. 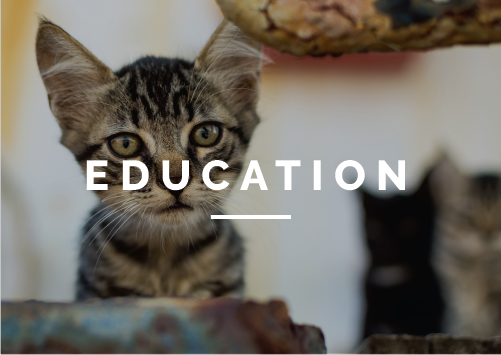 As a part of our mission, we work to educate our community about pet care, pet overpopulation and the humane treatment of animals. Through pet-friendly lessons and curriculum, our staff teaches thousands of children and adults every year. In our quest to reduce animal cruelty, we rely on our community to help us stop animal cruelty. If you see something, say something - we're here to help. 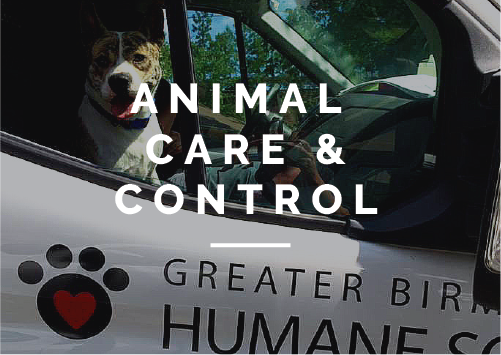 Since January 2015, our organization has provided Animal Care & Control services to Jefferson County. Learn more about ACC here.